Will Duct Cleaning Remove Mold in Air Ducts? If Moisture Gets Into Your Duct work, It Can Lead To Mold in Air Ducts. Both home and business owners know that mold in air ducts or around the home is a serious issue within their property. Mold is started from spores which can be carried through doors, windows, and even your ductwork to inside your building and, given the right environment, can grow, leading to health issues for all of those within the building. Minimizing and eliminating mold at the first sign is important, which is why it is so important that businesses and homes have regular duct cleaning services. Ducts can be affected by many things and since they carry spores throughout the property may have some mold spores within them as well. If any moisture gets in the system, given a change of temperature or even a roof leak which can create a lot of damage in a short time and may seep into the ductwork itself, it may allow the mold to grow. Duct cleaning can reduce and stop mold in its tracks, removing the spores and even any growing mold from your system. How Often Should You Clean the Air Ducts? While getting regular air duct cleaning is the best thing to do, you may wonder how many times you really need this service. The number of times you may need cleaning will vary upon your needs, but a good rule of thumb is that any time you move, having the ducts cleaned is imperative. This will ensure any pollutants, dust, and even mold in air ducts is handled before you move into your new home or business. After this, the average for air duct cleaning is as needed, such as in the event of high pollen or if mold is discovered within the property, with an average of three years between cleanings. This will ensure your property maintains good quality indoor air and keeps the mold in air ducts at bay. Why Get Your Ducts Cleaned? A good cleaning will do more than just get rid of mold in air ducts! Over time, ductwork can get dirty. Because it passes so much air through it, it also inherently passes particles of dust, dirt, pollen and more, which can land in the ducts and build up over time. These can be particularly harmful to individuals in your home or business. A good cleaning can handle these, returning quality to your indoor air and preventing health issues. Once all of these damaging particles are removed from your system you may even notice increased efficiency from your heater or air conditioner, as it will have fewer contaminants to content with. This means that you will save on money during the intense seasonal shifts. Getting started on an air duct cleaning today can ensure you have a future with quality air conditioning and air quality. DRX DUCT LLC is here for you, providing you with services to get your ductwork back in top shape and even eliminate mold in air ducts! 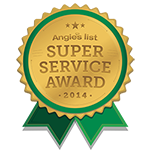 We are always ready to get to work on your home or business system in North Plainfield and Bridgewater, NJ. Give us a call at 908.755.2950 today! Posted in Bacteria, Commercial, Duct Cleaning NJ, mold and tagged air ducts, bacteria, commercial, duct cleaning nj, mold, schools, vent cleaning service on August 3, 2018 at 5:54 pm by DRX Duct Cleaning. 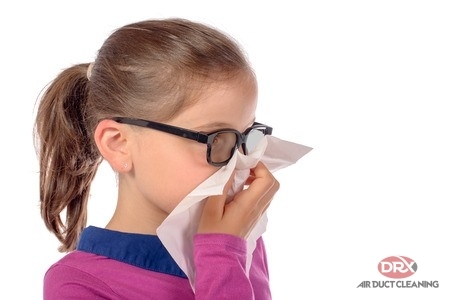 Is The Indoor Air Quality In My Child’s School Safe? Find Out What You Can Do For Your Child’s Schools Indoor Air Quality. Between before school care, after school care, clubs and sports activities, weekend programs, and other outside groups that may also use the school, most school buildings are in use at least 12 hours a day, 6 days a week. Janitors can be seen hard at work mopping and sweeping floors etc, but what about the areas they can’t clean? With all the traffic in and out, you may wonder how they keep their air quality clean. 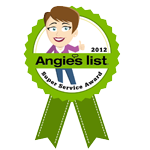 Is there any system in place to assure you that the furnaces, air ducts, ventilators and AC units are cleaned regularly? How can you be sure your child is not breathing in potentially harmful particles in large amounts such as dust, mold etc, or that the same germs are not circulating over and over again? What about renovations? Have the floors been sanded in the gym recently? Were any old floors in the school torn out and replaced over the Summer? Have there been any additions onto the school? Those types of construction debris could be lurking in the system, too. Have you noticed your child doesn’t feel well after coming home from school, or their asthma flares up while at school? Every child deserves a safe and healthy environment to learn in. They should not feel anxious that they may have an asthma attack or feel ill while trying to concentrate and learn. So, what can you do about it? According to HEALTHYSCHOOLS.ORG, “There are 130,000 public and private schools enrolling 55 million children and employing 7 million adults…. The EPA reports that ½ of all schools have problems with indoor pollution. This contributes to rising asthma cases, absenteeism, concentration, and headaches…” School officials take these types of matters very seriously. Contact the school principal or superintendent and ask what is being done to maintain the indoor air quality at your child’s school. You may consider writing a letter or bringing your concerns to the PTA to address. These types of things will not be overlooked. DRX Duct Cleaning has performed commercial air duct cleaning in schools across New Jersey. We have state of the art equipment, along with the necessary education and training to properly execute a cleaning on this scale. 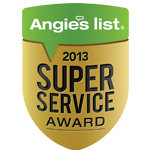 It is VITAL that an NADCA certified air duct cleaning company is chosen for this type of work! DRX Duct cleaning is not only an NADCA certified company, but we guarantee that an NADCA certified technician will always be on site. We have the knowledge necessary and experience where it counts to get the job done right. Call us today at 908.755.2950 to ensure your child’s schools indoor air quality is clean with air duct cleaning. Posted in Commercial, duct cleaning, Duct Cleaning NJ and tagged air duct, cleaning, commercial, schools on August 15, 2017 at 1:49 am by DRX Duct Cleaning.